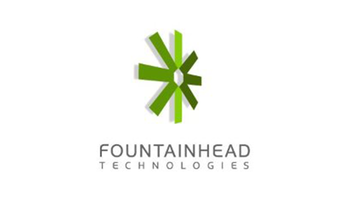 Home » Companies » Fountainhead Technologies, Inc.
Fountainhead Technologies is a premier data-centric business entity in the Asia-Pacific region, providing high-end data and analytics support to its client base. Founded in 2001 by data experts and consultants with an experience of over 100 man-years in Oracle-based data consultancy; the organization has grown from a small start-up team to a diverse pool of talented experts and Oracle Certified Professionals. Based in Makati City in the Philippines, the company has a regional office in Singapore as well. Catering to small, medium and large enterprises, Fountainhead Technologies, Inc. provides world-class services at a competitive and cost-effective value to deliver unparalleled business efficiency. The company maintains a strict doctrine of complementing technology with business requirements, so that each piece of technology adds value to each business process. This has given an unprecedented advantage, allowing the organization to achieve a rate of 100% success in its projects across clients based in Europe, United States and the Asia-Pacific region. Fountainhead Technologies, Inc. is a Tier-I Oracle Gold Partner, as well as a strategic business partner of IBM Corporation in the Philippines. The company provides comprehensive Oracle E-Business Suite offerings to improve efficiency in nearly all business processes, ranging from procurement to accounting. The company provides high-quality big data and analytics packages that include Cognos, Hyperion and other data frameworks to capture and analyze data for its client base.